What Vitamin Supplements Have No Impact on the Health of Our Body? What is a healthy lifestyle? The answer is obvious: it is a lot of fruits and vegetables included in the nutrition, enough of physical exercises, and, of course, vitamins for keeping the body healthy. You may get vitamins in three ways, two of them are effective and safe: foods and vitamin therapy, and the third way is getting vitamins through vitamin supplements, which may not always positively affect your health and moreover be dangerous for your life. Researches didn’t find any proof that vitamin supplements actually work. Moreover, recent research showed that some vitamins might be dangerous, increasing the risk of kidney stones, and even cancer. You should know what vitamin supplements are good for your health and which ones should be avoided. You can get all nourishment through following a balanced diet. One research conducted in 201, in which more than 39,000 women over the age of 25 took part, showed that those who have been consuming multivitamins for a long time were at higher risk to die than those haven’t been consuming multivitamins completely. Vitamin D helps to keep the health of our bones (contributes to calcium absorption), but it’s hard to get this vitamin through food because it’s absent in most food products which we regularly eat. Yes, you can easily get vitamin D through sunlight but it’s possible only in summertime. Excess antioxidants lead to the occurrence of various types of cancer, and besides, you may just eat berries to get all necessary antioxidant vitamins A, C, and E. As for the first scary statement, it is referred to one longterm research which showed that smoking men, who have been consuming vitamin A, more frequently got diagnosed with lung cancer, than those men who haven’t been consuming vitamin A.
Vitamin C will probably not help you fight flu. New research showed that vitamin C supplements have no effect on our immunity, but mega doses of this vitamin may increase the risk of kidney stones. But if you want to get vitamin C, you should do it through foods: citrus fruits, bell peppers, and strawberries. For many years vitamin B3 (niacin) was regarded as the cure for all diseases, including Alzheimer’s disease and cardiovascular diseases. But a study that has been carried out in 2014, involving more than 25,000 people with cardiovascular diseases, has shown that vitamin B3 consumption for increasing levels of “good” cholesterol doesn’t reduce the frequency of heart attacks or strokes. Besides, participants of this study which have been consuming vitamin B3 supplements were more prone to internal bleeding and liver problems than those people who haven’t consumed this vitamin. Zinc, unlike vitamin C, may help you to fight flu. Scientists guess that the mineral precludes replication of rhinoviruses. The participants of one study in 2011, which have got sick recently, have been consuming zinc or placebo: as a result, people from the first group had short term flu with less intense symptoms. An extensive study in 2011 with 36,000 participants, has shown that the risk of prostate cancer has increased in those who have been regularly consuming vitamin E supplements in comparison with those who have been consuming a placebo. You should remember, that it’s better to get vitamin E through foods: olive oil, salmon, olives, peanut, almond, almond oil, sunflower oil. Folic acid will be good in the case of pregnant women. The vitamin B group is used by our body for the production of new cells, that’s why specialists in the field of health care recommend folic acid for normal development of the fetus. 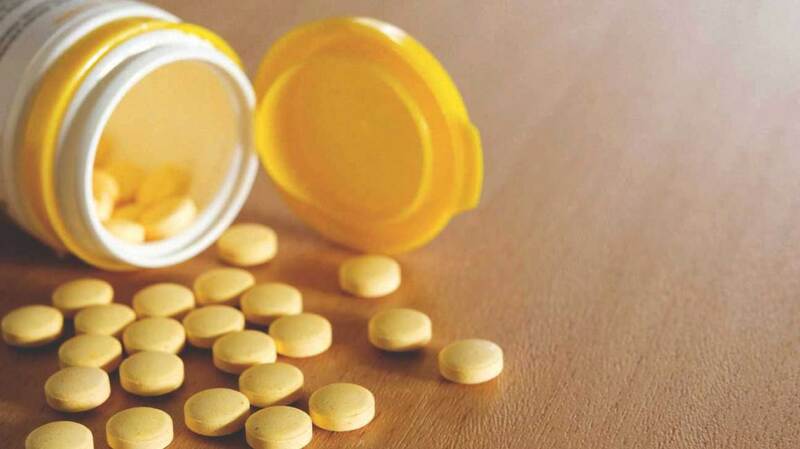 But pregnant women should be very careful with the consumption of folic acid supplements, first, they should consult with a doctor to decrease any possible risks.